Halloween is a booming business, and the only thing more expensive than the treats for little tricksters are the costumes. Commercial get-ups can run into the hundreds, so many people are looking to Pinterest and other sites to turn their next disguise into a DIY adventure. 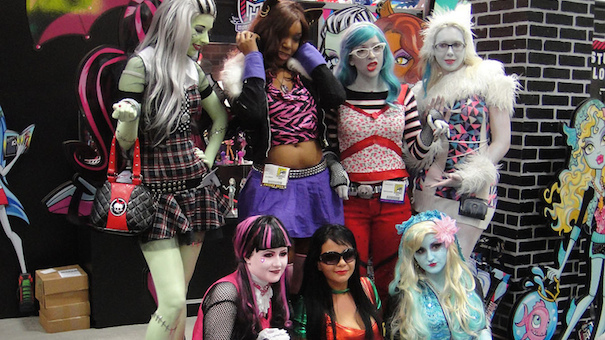 So here's how to make some of the hottest costumes this season yourself for less! 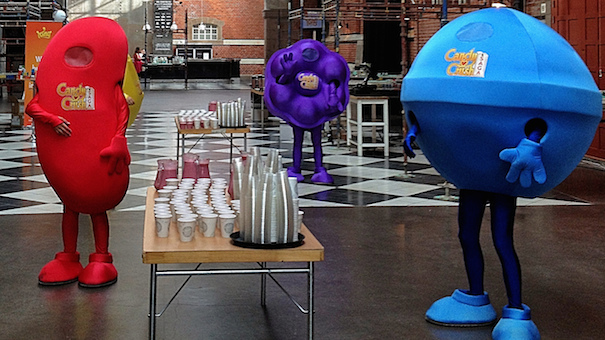 Candy Crush Saga isn't just a game. For many, it's a way of life. This sickly sweet and addicting mobile app has many adults seeing images of brightly-colored candies in their dreams each night, so bringing them to life as a Halloween costume only makes sense. Simply get a big box and paint it on the front to look like a candy grid before cutting out holes for the head, arms, and legs (or use a sandwich board for better mobility). You can also chose to dress like Tiffi, that little girl that cries at the end of each level. Popsugar has your shopping list for all the cute-sie accessories you'll need to pull off the look. This is yet another obsession for kids (and their parents), but the silver lining is that the costumes aren't that complicated. This video tutorial for making up a child to look like the goblin takes patience, but isn't very expensive. Archers seem to be a simple costume as well, assuming you have a pink wig and both a green dress and hooded cloak. If you have old gear from a Renaissance Fair, you'll likely have what you need to dress up as many of the characters in this game. 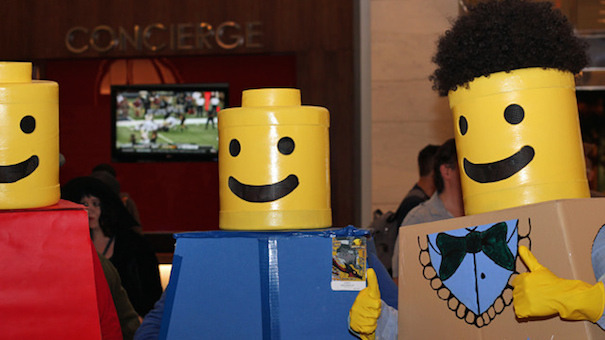 This trend never seems to die out, and once again, Pinterest is full of Lego character costumes. While everyone can get the "box body" pretty easily, the head is what give people trouble. This Instructables shows you step-by-step how to get it done in one weekend! 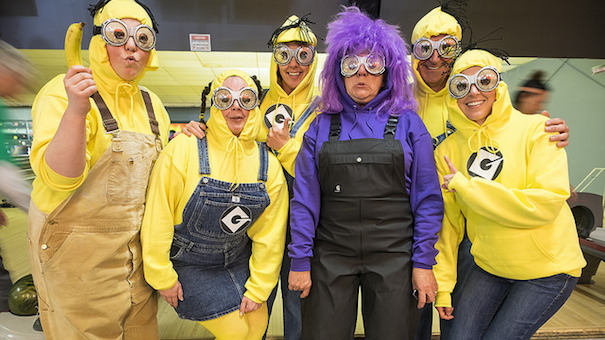 These little creatures from the Despicable Me franchise have been a huge success as both adult and kid costumes. Their simple features make them easy to duplicate in a DIY project. Most of the projects I've seen involve nothing more than a yellow hooded sweatshirt worn under a pair of denim overalls. Add some black rounded glasses and a toolbelt, and you have yourself a fashionable version of this cartoon trend! Or, check out this tutorial for an accessory Minion hat! As much as I can't relate to this trend (I have five little boys), I do see it as any easy win for the DIY costume crowd. A private school uniform skirt and blouse altered slightly with some iron-on patches of spooky spiders or webs will go nicely with a black studded belt, black tights, and some creepy hair accessories. Don't forget to paint a few scars or stitches on the face! This is one alien that won't cost a fortune to replicate. Since any human can get away with looking like our time-traveling friend, you simply have to pick your favorite regeneration and buy the appropriate accessories. Will it be a bowtie? A fez? Something vintage, like a scarf? 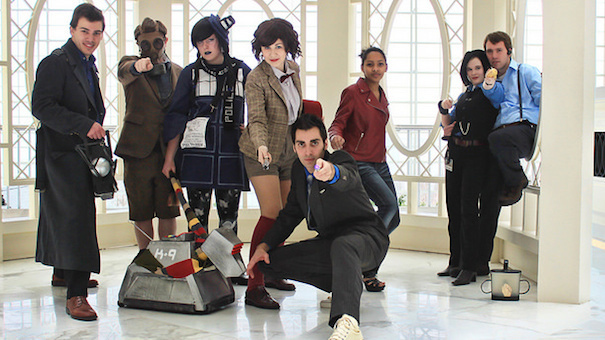 While some Doctors (like the 11th) weren't as quirky looking — and you might get confused with the Fonz — you can always prove a point with your own homemade Sonic Screwdriver! The NES may no longer be functional, but the legacy of the two most famous Italian plumbers lives on! 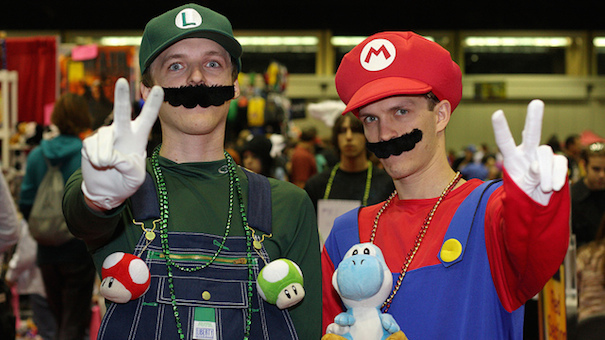 Mario and Luigi costumes are still for sale at major retailers, so it's a safe bet to make at home. A pair of denim overalls can be dyed bright blue and paired with a red long-sleeve tee for Mario (green for Luigi) and topped off with a red or green baseball cap. Mustaches are easy to find, too! In this selfie-obsessed world, what's more fashionable than a pic of you? This tutorial for putting together an Instagram frame is brilliant and surprisingly not too complicated. It's an acceptable solution for tweens and teens who may be forced to take younger siblings out trick-or-treating, but feel lame "dressing up." Each year bring it's share of super heroes, angels, monks, and witches, but it's nice to bring a little creativity to the party — especially at a low cost. What frugal Halloween costume ideas will you try out this year?